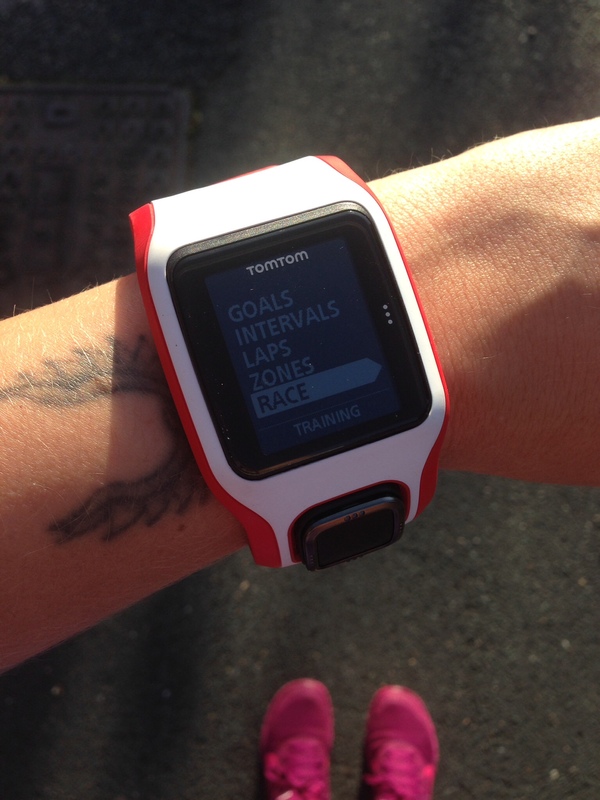 I’ve now used my TomTom Cardio Runner (kindly given to me by The Running Bug) on several outings so here I am to give you some thoughts on its capabilities! My “other watch” is a Motorola MotoActv and I have been using this since March 2013, so where I’m comparing to another gadget, that’s what it’s up against! I prefer the way it looks – squares are better for watches than circles to me, don’t know why! I didn’t have an MP3 player at the time and the MotoActv has a built-in MP3 player and you can either use plug-in headphones or wireless ones. Don’t forget you can see what I and other reviewers are saying about the watch over on Twitter by searching #getsmyheartracing. First run with the RunnerCardio was just a little morning bimble. It found GPS signal quickly and buzzed to tell me it was ready. Press right and I was off. I had set it up so that pace and distance showed in the top of the screen when running. The majority of the screen is then taken up by one bit of info, and you can scroll up and down to change this (elapsed time, pace, calories burnt, heart rate, distance etc). I looked at my heart rate a couple of times but went back to distance as that is what I usually run for (as opposed to running for time) and it was handy to see it in big while moving. At traffic lights I held the left button to pause, then hit the right button to go again. At the end of the run hold left and left again to complete the run. At first I was a little worried I hadn’t done this right as it didn’t give me a workout review – I had to go back into the run menu and find the “history” to check my run had been registered. Back home it was easy to upload the data via Bluetooth to the iPhone app (note to self: remember to turn Bluetooth on phone off again to help with battery life). The next run was Leeds parkrun and I wasn’t going for a time so I just kept the big screen on heart rate to see what would happen. It went up to 90 on the start line (pre-match nerves!) and got up to 180 at one point – scary! Afterwards the data on the app said this put me in the “sprint” range for heart rate. I definitely wasn’t sprinting! Just shows I need to regain my fitness! Next up was the Yorkshire Veterans Athletics Association Race at West Park. I knew the route was 5 miles so I set the distance challenge to this to see what would happen. In this mode you get a big wheel on the screen and it slowly fills up like a pie chart telling you the % to go (but you don’t see total distance on this screen, so if you want to know exactly how far you have done you have to scroll through to the usual screens). It buzzes at 50%, 90% and 100% to let you know how you’re doing. I got another couple of sessions out of the watch (about 3.5 hours of active use) before the battery went. When it died I was in the middle of a bike ride and it just stuck on the time. I didn’t twig for a while that it had been showing 10:02 for ages and thought I had cycled into a worm hole! So far I’m finding it comfortable to wear and easy to use. As with any new gadget, after a few uses you quickly pick up how the menus work and can find the bit you need with no trouble. A couple of times I have noticed that it has stopped showing heart rate for a few seconds, then it comes back. Not sure why that happens. I like the sync via Bluetooth as that means I can do it straightaway as long as I have my phone – with MotoActv I have to wait until I’m in WiFi to sync my activity. But with both I can see the basic info on the watch anyway. 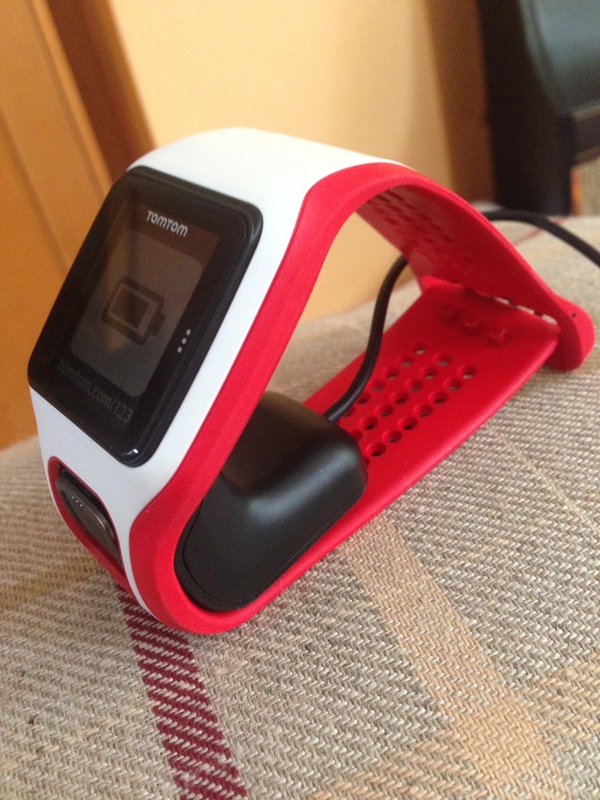 The MotoActv is the winner in terms of how much data it displays while running. I can set up to six different parameters to all show at once on the screen (I have time of day, distance, average pace, current pace, step rate and time elapsed), whereas with Runner Cardio I get two little ones at the top and one big one, with the option to scroll through to see others. In particular I miss seeing my step rate in real-time – I find that this drops when I tire, and this generally means my form has got worse. When I see this happening I can make an active effort to pick up my feet quicker and take smaller steps, thereby improving my form and reducing the risk of injury. The screen sizes aren’t vastly different – MotoActv is square whereas Runner Cardio is more of a portrait rectangle. The built-in heart rate monitor is probably the Runner Cardio’s main selling point. Having never trained by focusing on this I can’t yet say how important this is to me personally, but I will be giving it a go! 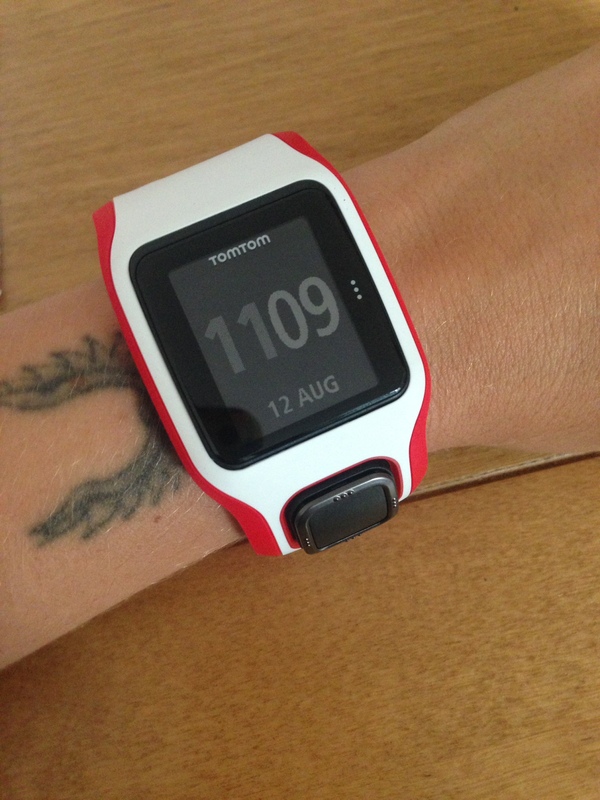 If training by heart rate is something you do then this could well be the watch for you. However, one thing that did strike me is that in winter I wear long-sleeve tops with thumb holes that come down over the backs of my hands – I’ll have to keep one “unhooked” and pulled back a bit so the Runner Cardio can still make contact with my skin if I want to track my heart rate on cold runs. 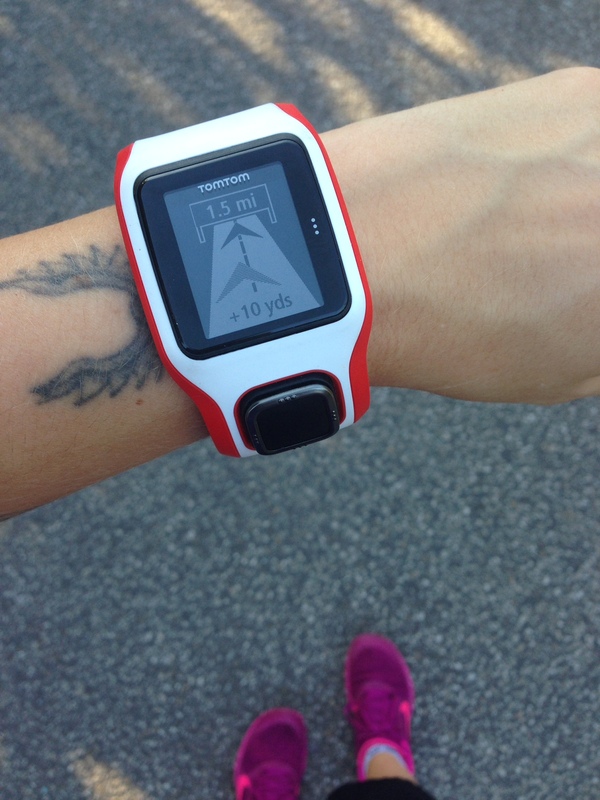 On my early morning run today I wore both Runner Cardio and MotoActv (on the same wrist) to see how they compare. As you can see the figures are very similar except for the step rate. 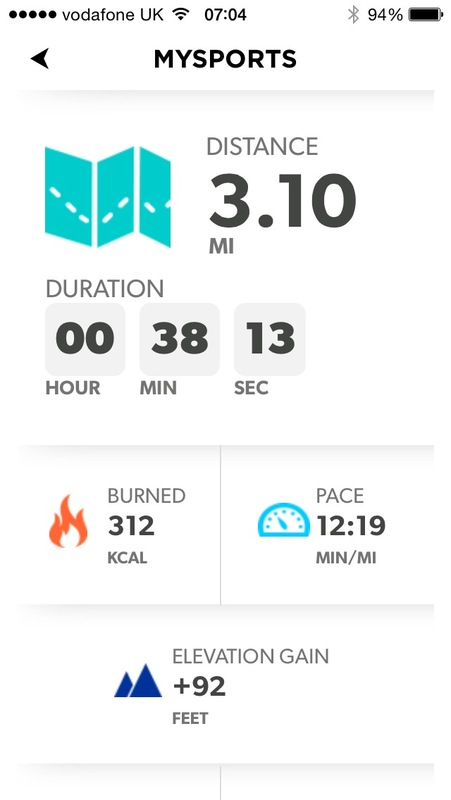 I still have more things to test on the Runner Cardio – I’ve set a time for a 3-mile loop so I’ll “race” that next week to try out that feature. And I’ll do an interval session too to see how that works. 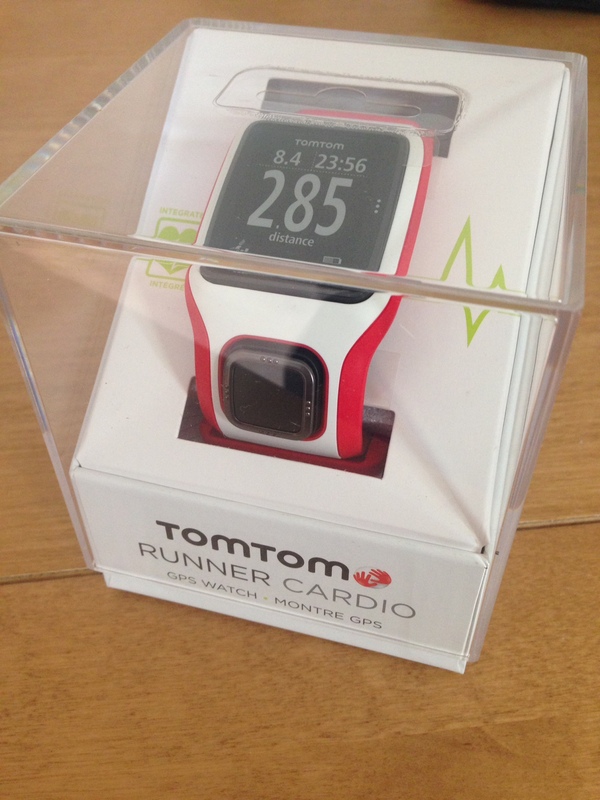 A couple of weeks ago I received a very exciting parcel – the nice people at The Running Bug sent me a TomTom Runner Cardio watch to test and review. As you will know I am a big sucker for gadgets and freebies so was very excited to get a new toy to play with. I’ve been a little “meh” about my running recently, so this was perfect timing – there’s nothing like something shiny and pretty to help you find your mojo! I’m going to start here with my first impressions and follow up with more blogs about how I get on with it and the different features in the coming days and weeks. You can also check out what my fellow reviewers think about the watch by checking out #getsmyheartracing on Twitter. The watch comes in a cube box, sitting in a card base with a clear plastic cover, allowing you to see it in all its glory. 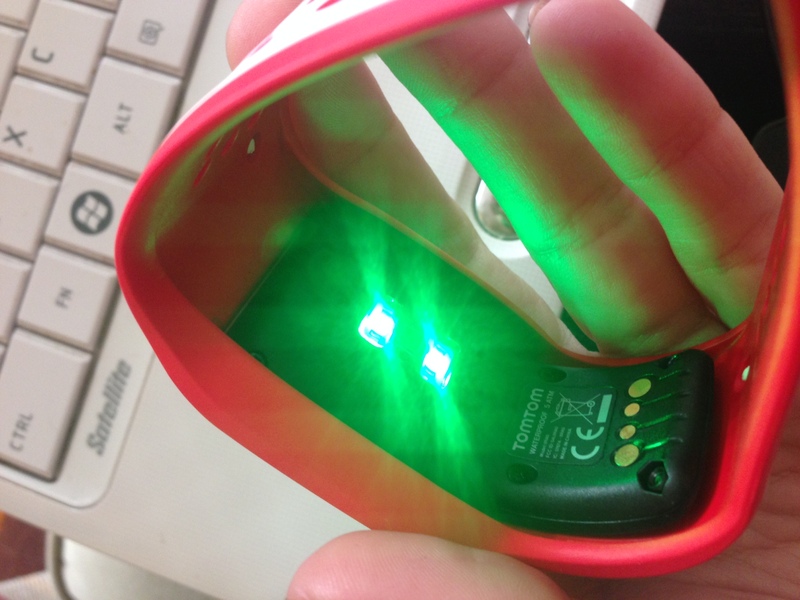 And it looks great – kinda retro with smooth corners and coloured holes on the strap. I received the white and red version, and there are black and red and black and black versions too. Mostly I like the look, but I’m not keen on the black pad below the watch – this is the GPS sensor and the outer edge acts as the navigation buttons – up, down, left, right. For me this unbalances the sleek and minimal look and I would prefer the sensor and buttons to built-in to the watch face. There are few instructions included – the leaflet says which bits do what and tells you to plug it into your computer to get started. I was too impatient and wasn’t at my laptop, so I just turned it on anyway. It sent me through the usual options (set age, weight, date etc) and then it was ready to go! The first thing I did was turn off the buzz and sound you get when pressing a button! The main menus are pretty easy to understand once you play around with it. 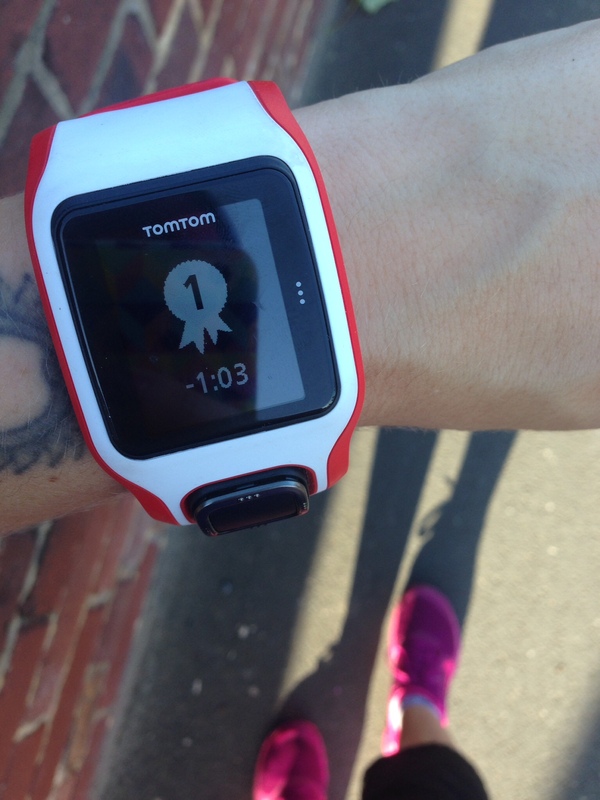 To retrieve your data the TomTom Runner Cardio uses the dedicated MySports portal. 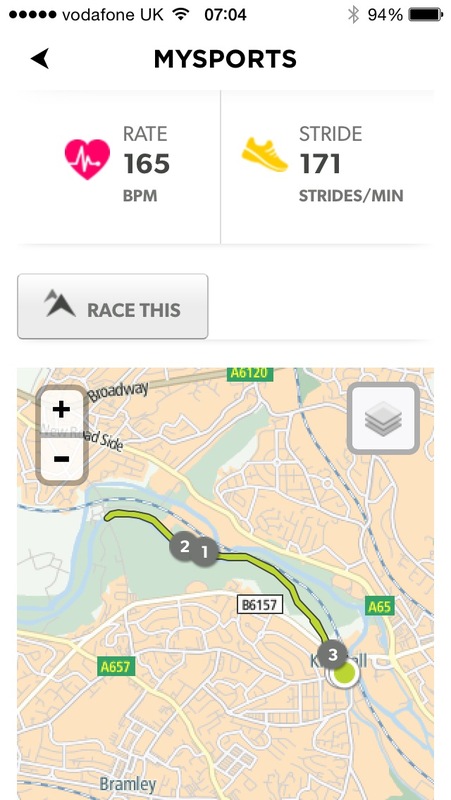 This is powered by the same software as MapMyRun, so if you already have an account there you use those details. If not, it’s the usual sign-up process. 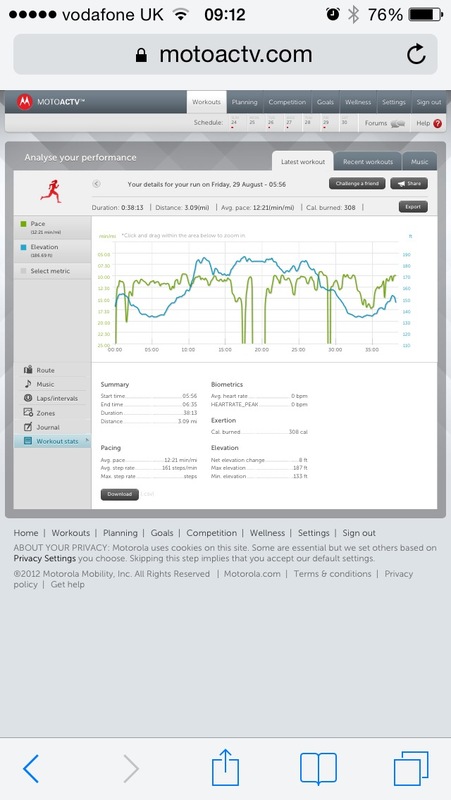 There is also a mobile app – I got the iPhone one so I can upload my run data without having to plug in. When you do plug in to charge and sync activities you get a little screen and from there can click through to the main MySports portal. Plugging in to the computer frees up the storage space on the watch, although you still get your recent history on the device. It’s a little confusing actually – I can send my activities via the iPhone app to MySports and they show up if I go to the online portal, but to transfer a session to race against or to free storage space on the watch you have to plug in to the computer. Of course, you have to do this to charge anyway (although I suppose you could plug into a USB mains charger) but it seems a little clunky. Actually, the charging socket in itself is rather clunky. It looks cool and is shaped so your watch sits upright in the holder, but by God it took me forever to unclip the damn thing! And I mean many, many minutes of pulling and tugging. I honestly thought I was going to break it I had to keep pulling at it that hard! Not good. After a few more times it has become a bit easier to unclip the watch from the dock, but it’s still a bit fumbly and awkward. A little niggle for me – I don’t think you can turn the watch off when not in use. I am used to switching off my usual device to save battery, but the TomTom Runner Cardio doesn’t seem to have the option. It’s not a big deal as it is only sat around doing nothing between runs, and I may end up wearing it all day anyway as a normal watch, but it’s always nice to conserve energy. Overall it’s a good-looking watch and sits nicely on the wrist (even my skinny wrist!). It is comfortable to wear and not too chunky or obtrusive. At £220 it’s quite pricey, but that’s due to the built-in heart rate monitor (more on that in a future blog). From reading about the features it does have a lot going for it, with the ability to measure your run against a set time or distance and create interval workouts, so I’ll get on with testing them! 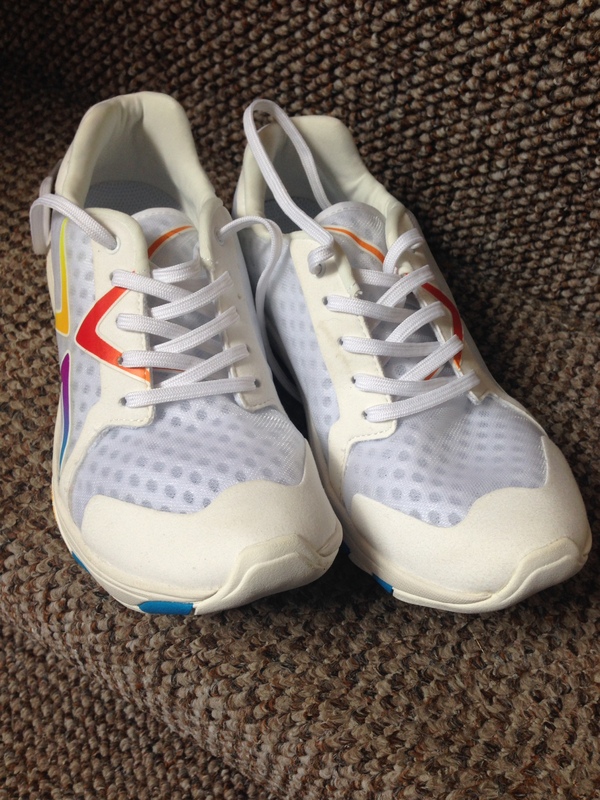 A little while ago I won a competition for a pair of new running shoes that claim to help you run faster. Called Airia One, they are designed by a Swedish company that has more than 170 years’ experience in shoe making. I actually ended up getting hold of my shoes a little quicker than the expected delivery date as they sent me a test pair to review. So far I have only worn them a few times, but there will be more to come. After years of development, Airia is about to launch a concept that will revolutionize the way we look at running shoes. Airia One’s construction is inspired by the wheel, to ensure runners achieve that perfect feeling of flow. The shoe has a unique design … It harnesses untapped power in the human body and doesn’t leak energy like other running shoes do. 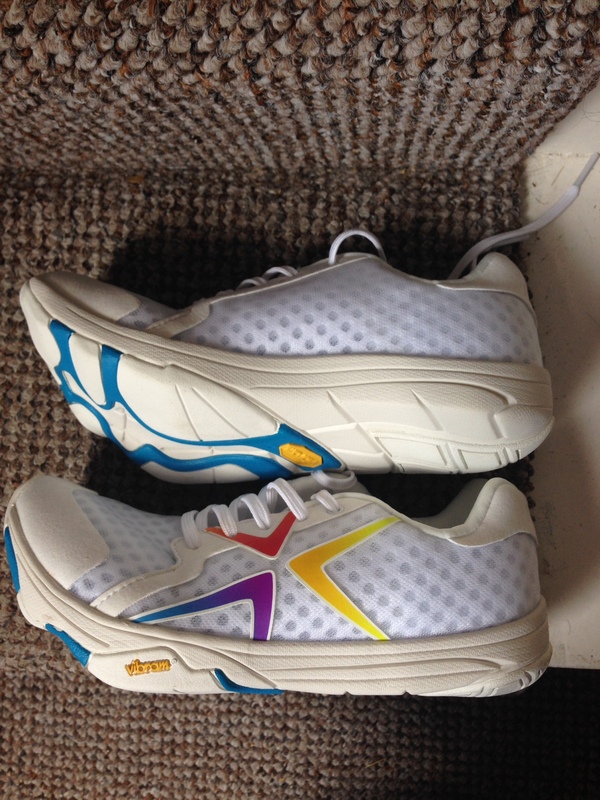 In fact, it unleashes the power of a stride for a faster and more enjoyable running experience. Tests show that runners wearing Airia shave times by 1 percent on average, and some of them up to 7 percent. To develop the shoe Airia has used scientific methods to find out what does and does not work. The shoe is light and features a biomechanically optimized geometry with an unstable and irregular, sharply angled sole to help you move forward as fast as possible. 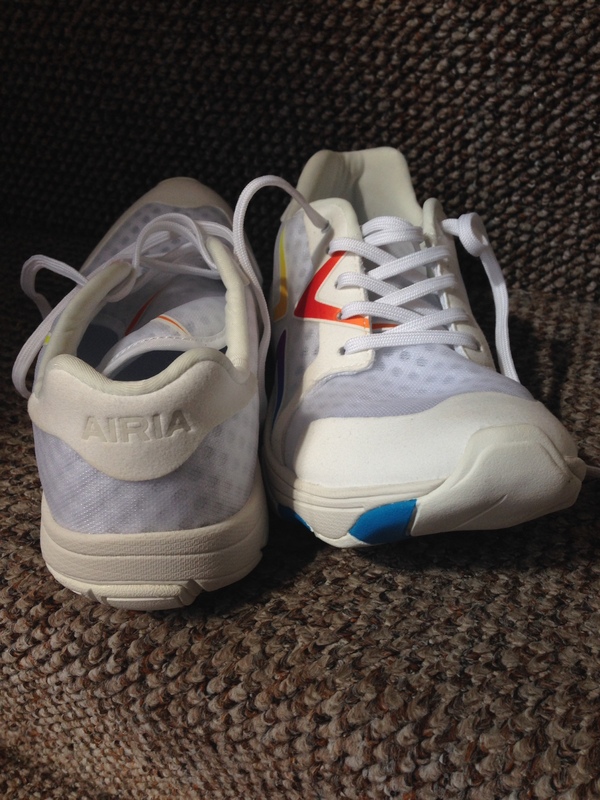 Airia One has an asymmetric design which combines a zero drop with a 6mm drop sole. This allows you to run with less ground contact time and helps to keep the power in the stride more in line with the running direction. Runners who tested our shoes not only run faster, they get a different and better feeling from running. Most people report that they feel stronger and have an improved posture. It all sounded rather grand and exciting, and I was skeptical, but open-minded (is that even possible?!). Run one was 3.4 miles. It was mid-morning and rather warm, muggy and therefore sweaty. I headed out along the main road, down the hill by the golf course, on to the towpath and back up the hill. This is an easy circuit I do quite often, and I always enjoy the downhill section about a mile in. At first the shoes felt very weird. The bumps underneath make them strange to walk in, but not “impossible” as Airia say. Although I agree that you wouldn’t want to walk any real distance in them. I try to have a brisk walk of a few minutes before starting a run and that was OK, just a bit like wearing cleats. When I fist started running I could still feel the lumps and I wasn’t quite sure what I was supposed to be doing with my feet. I certainly had to think about where I was landing. But after a few minutes I managed to switch off from consciously thinking about placing my feet and let my body do what came. Downhill I really did feel like my legs were wheeling, but then I often do on that section, and I got a good pace up along the flat part in the middle and felt great. I had no soreness or weird feelings afterwards and was pleased with my run. Run two was slightly longer at four miles. 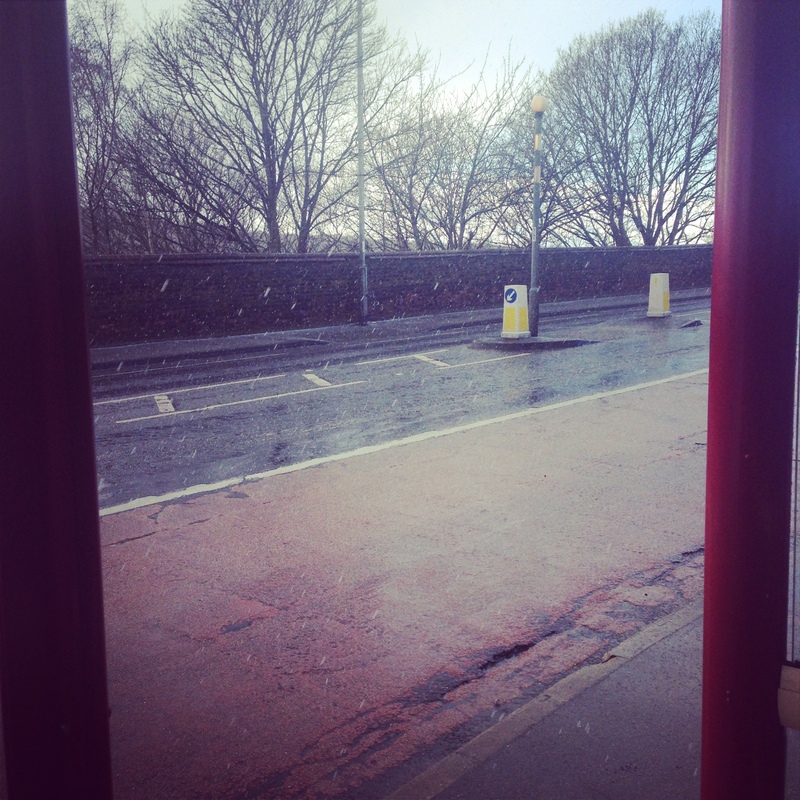 I started out on the same route – along the road and down the hill, but then went further round to Kirkstall Road (a smooth and flat busy main road). I felt particularly fast on the middle section of this one – like flying! I settled into the shoes much quicker and didn’t feel like I was being forced to run any particular way or any differently than normal. I am a light-footed, mid-foot/fore-foot runner anyway, so I tippy-toe around in all my running shoes. Run three was tough, mostly because I had a wicked hangover! It was the Otley 10mile road race – an evening event on a very warm day. I wasn’t sure I would even make it to a mile without being sick, let alone finish, but I forced myself to do it anyway! I was sweating like made after not very long but at least I got rid of all those alcohol naughties in my bloodstream by the end! Anyway, the shoes felt fine at first, but after about 5 miles my toes started to hurt. Like, really hurt. It was the same sensation as when I tested the Brooks PureConnect a while back. Almost like stones in the shoe rubbing from below, but almost a kind of cramping twisty-turny toe thing. Weird. I had to walk and hobble a few times so that I could place my foot differently and relieve the pain. It was quite annoying. I came to the conclusion that it was a combination of me not quite being at my best and therefore my form being off, but also that the shoes are a bit too manipulative for longer runs. I often go around barefoot and occasionally run with nothing on my tootsies, and I don’t think my feet appreciated being coerced into a specific position for too long – they like to have the chance to be flexible and free-moving. Run four was the Hyde Park Harriers Summer Mile. I ran this race last year and went much faster than I predicted, but given my lack of speedwork recently I wasn’t expecting a PB. I did, however, feel good in the shoes. A mile is a difficult race as you just have to get into it and get on with it, so I did few warm-up strides. My feet and legs felt good, but my breathing was so laboured and I was absolutely knackered! My time was decidedly average, but I still counted it as a win for the shoes. It’s a small sample to make any real conclusions from, but one thing I know for sure is that Airia One are, for me at least, reserved for short distances. 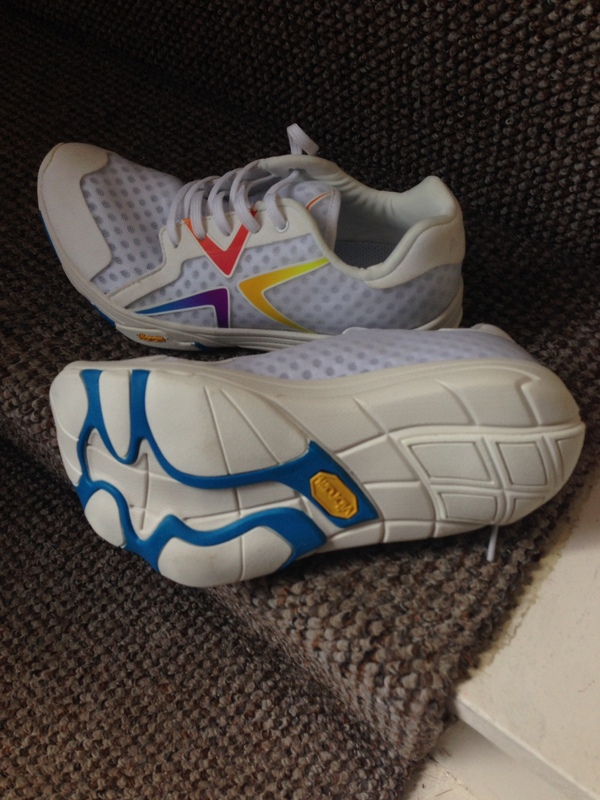 They look cool (I will change my mind on that when the white gets grubby) and feel smashing when running.The quality seems good – Vibram soles feature on several of my other shoes and I have always been happy with their longevity. I’ll be using my Airias now for shorter runs, especially speedwork, and PB efforts at one mile and 5k. Whether or not they really will help me get faster times remains to be seen, but they sure feel good and the notion of them being my “fast shoes” might give me that extra push anyway. 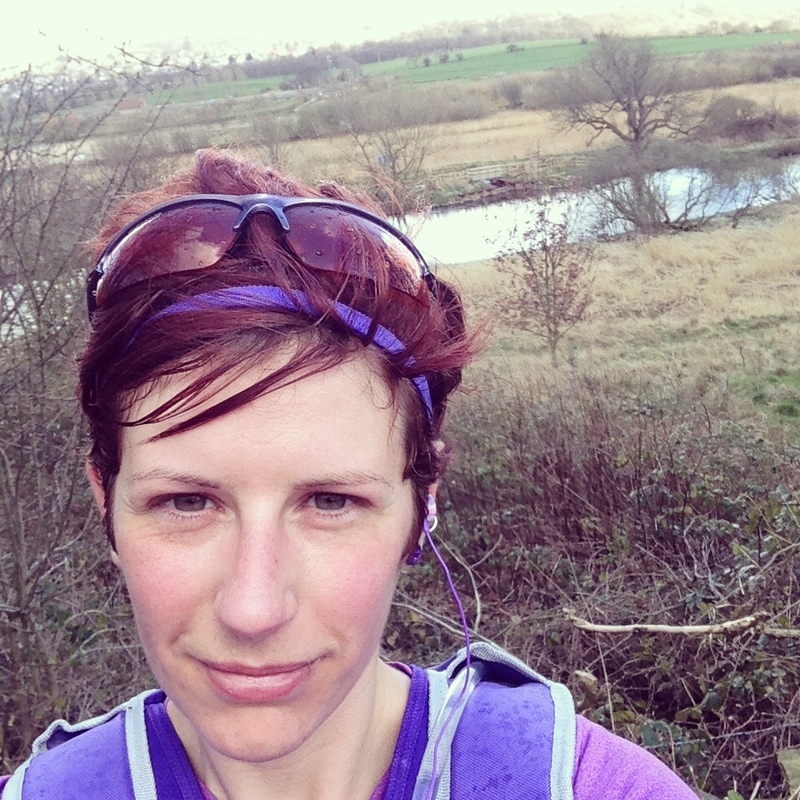 Fell running: Where do I begin? I am intrigued and excited by the idea of fell running. “Fell running, also known as mountain running and hill running, is the sport of running and racing, off road, over upland country where the gradient climbed is a significant component of the difficulty. The name arises from the origins of the English sport on the fells of northern Britain, especially those in the Lake District. Sounds do-able, but as I read more about it, and especially as I looked at race details and thought about making actual plans, I started to get scared. I’m not scared of massive hills. I may not practice them enough, and I almost always walk, but that’s OK. I generally march on and can often overtake people on even the steepest slopes. I’m not worried about keeping on going when the going gets tough. But what is worrying is the fact that I could get horribly lost quite quickly and be completely alone in the middle of nowhere. I have navigated on walks with friends in the past, but that’s going back many years, and I don’t know the Yorkshire countryside well at all. Plus the kit options are hugely varied, and I struggled to figure out where to start comparing waterproofs. So I turned to an experienced fell running friend for some advice. He was not only very helpful, but also very encouraging – a great combination! I have reproduced/rehashed what he told me below. The first three are easy – hat/gloves I’m sure you already have, compass and whistle you can pick up cheaply. Waterproof trousers – everyone I know has the same ‘pac-a-mac’ trouser equivalent, which come scrunched up in a small bag and they are basically there just as an emergency in case you are stuck during a long race and need to keep warm. I don’t know anyone who has ever worn theirs. Hooded waterproof jacket – needs to be fully waterproof (not just resistant) with taped seams. Unfortunately this is (or at least can be) the pricey bit. Popular brands are Inov8, OMM, Montane, Salomon. They all have running specific lightweight jackets. Cheaper options are out there too. Map – easy option is usually to just print out from the website if they have one, or Pete Bland do specific A4 maps for some of the bigger, classic fell races, but for smaller races you are rarely required to have them. Bumbag/pack – Loads of brands, loads of options (with/without bottle holders etc), some people go with Camelbak/backpack things on much longer races, some people have the most minimal little pack. Now, here’s the trickier bit — you don’t need to carry all that kit at every race, most certainly not at the shorter races, but the Fell Running Association rules changed at the start of the year so it’s basically a case of ‘bring all your kit and we’ll tell you on the day which of it is required’ so sometimes you don’t need anything at all. It’s all a good investment but you needn’t spent too much at the entry level. 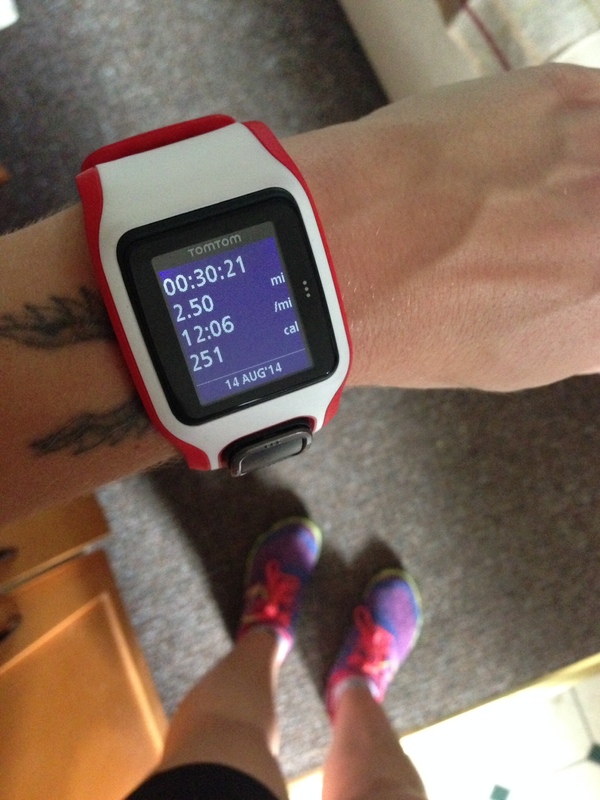 In terms of being worried about getting lost or being slower or that it’s harder running. Yes, there is that potential, but there are always slower folk at races, most people still walk the hills, and the route will be trampled ahead of you, as well as some markings, so you should be absolutely fine to see the route. There are loads of ‘fell’ races which are basically trail races, especially during the summer, and they’re great fun (round Ilkley and Otley etc). I really empathised with your London Marathon experience; for me I just don’t relate to the big road races at all. Soon as I started fell running it all clicked. So if you can run London Marathon then you can run a short fell race, no problem! It is the best way to improve too, as the environment, ethos and community of fell running can be really addictive I think, so it makes you want to train/race more and therefore you improve a lot. A little bit outside some runners’ comfort zones, but 1000 times more rewarding – at least that’s been my experience. DISCLAIMER: Bear in mind that advice is aimed specifically at you, knowing as I do that you’ve got other club people in a similar boat and you can dip your toes together! By way of a caveat I should also point out, of course, that fell running is dangerous, hazardous and the risk of injury is greater than road running (in the short-term at least). And it’s certainly ‘harder’ but again, you soon improve by doing it (remember when a mile was hard? 5k? 10k? All seem so easy now! Same improvements come with the fells). So there you go, a lot of excellent advice from a fell running friend. But I am still a bit back and forth with the whole thing. On the one hand I am really enthused and raring to go. But then other people say things that put me off, and I get scared and lose my confidence and drive again. I have bought what will hopefully be my perfect pair of fell running shoes. They are light, minimal and squishy – should be great for this tippy-toe Bambi. I went on the hunt for a jacket and found a great Craghoppers one in TK Maxx – it was a bargain and ticks all the boxes. The waterproof trousers I had were beyond use (by which I mean they had gone a bit funny from several years of not being used), but a quick search on eBay turned up a new pair for not many pennies. Compass and whistle are knocking about in a drawer somewhere, and I bought a running backpack a while ago for long runs that should do the job. So now I just need to get out there and give it a go! There are several fell races coming up, and I’m really keen to sign up and see what happens. But I need to be sensible and either find one that is something in between a trail and fell race with some markings, or find a friend who knows what they are doing to run with me. If anyone out there would like to hold my hand in a fell race or two please do get in touch. Here’s the deal: you drive; I’ll pay your race entry and bring the butties. What I lack in competence I make up for in enthusiasm so it is sure to be a fun outing! ARGGGHHHHHH!!! There’s going to be a lot of that in the next two weeks. Yep, just two weeks until I run my first marathon. And right on cue I am starting to experience taper madness, also known as maranoia. As well as worrying that I’m doing marathon training wrong, I’m also eating everything in sight, reverting to my lazy ways and generally being a weirdo. The past week has been nice and steady. By which I mean I haven’t done much. I managed to get out with the Kirkstall Harriers in what felt like the first time in ages, and ran two other days without worrying too much about where I was going or how fast. I’ve had more rest days than usual with life getting in the way. On Tuesday I recorded my first radio show for South Leeds Community Radio – check out my running on air page for details. And with our county WI annual meeting on Saturday and Sunday spent watching Formula 1 I had the weekend off from running. So it’s been a big drop in mileage very quickly, and more taper madness to look forward to! I have felt bad for missing two runs, but on the other hand it won’t do me any harm as such. The only risk now is bursting out of my running kit after eating too much!